2018 is the year of the Italian cuisine all over the world and Emilia Romagna is the main protagonist. Especially relevant was its mention in the New York Times, where it was recommended for its food and products. 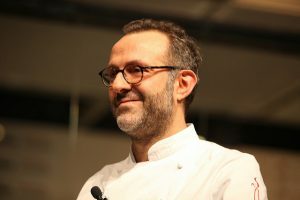 Moreover, the three Michelin star chef Massimo Bottura represented the region at the Consulate General of Italy in New York. The Department of tourism of the region Emilia Romagna and Agency APT Servizi organized the event at the Consulate General of Italy in New York, during which they discussed about the tourist excellence and novelties of Emilia Romagna, since the region in 2017 registered an increase of about 12% in the tourism sector coming from the United States, in addition the video “In viaggio lungo la via Emilia e la sua Food Valley” (Travelling in the Via Emilia and its Food Valley) made by Agency APT Servizi together with Francine Segan. During the event they had with all the typical dishes of Emilia Romagna, such as Parma ham, Mortadella from Bologna and homemade pasta, along with typical regional wine. Most noteworthy was the use of Balsamic Vinegar, this product was very appreciated by all the guests, that discovered a new way to appreciate food. In addition to Massimo Bottura, Andrea Corsini, regional councillor for tourism, and the son of Oscar Farinetti Andrea, were there. They spoke about the new-born “Fico Eataly World” Agro-food Park in Bologna, something new in the wine and food sector because it shows the wonder of Italian biodiversity in a farmer factory. The chef had an interview and explained how his creations are born: he reinvents the taste of the Emilia Romagna tradition, since are typical of his childhood. “Food and wine, history, culture, motorbike heritage, shopping and wellness,” this is what appeals the Americans, along with people all over the world. The Italian Lifestyle is the main reason for the American market to travel to our country and to the great capital of Emilia Romagna.